If we listen closely to this Gospel, we can get a glimpse of the Person of Jesus, who He is, what His personality is like, and His interesting communication style. Who is this God-Man who answers a question with another question? Who is this Person who instead of giving a direct answer offers a mysterious yet practical analogy? Despite the mysterious meaning of today’s Gospel, Jesus brings us fresh newness through His words. This Gospel can be challenging for us to understand. We are pretty familiar with wine from glass bottles (or a box), but most of us have not had many encounters with wine stored in wineskins or those techniques mentioned for mending cloaks. But just because Jesus uses words and images that relate to the time and place of the people around Him, does that mean that these readings are outdated and irrelevant to us today? No, not at all. We may need to come a little closer and listen a little more deeply to what Jesus is saying, but His message of mystery in the Gospel still applies to us today. So, what is Jesus saying to you? Through the practical analogy of new wine poured into new wineskins, I hear Jesus saying that new goes with new. I hear Him saying that the good things of our lives might burst and be wasted if not prepared and stored properly. If we try to stitch up something new into something old, its “fullness pulls away.” And if we mix up things that don’t quite go together, especially at the wrong time, both may get ruined. Maybe there is an old relationship that needs to be let go for the good of something new? Have you changed and there are new habits forming in you that no longer fit with your old ways of behaving or interacting? Do you need to leave the old behind? Or, do you need to sit with some kind of newness, that despite its possible discomfort or excitement, needs to be still and wait as it transforms and changes, like the patient process of fermenting fine wine? Jesus reminds us today that there is a time, a place, and a practical purpose for all things. The Bridegroom is with us now. What is the fresh newness Jesus is pouring into your heart today? 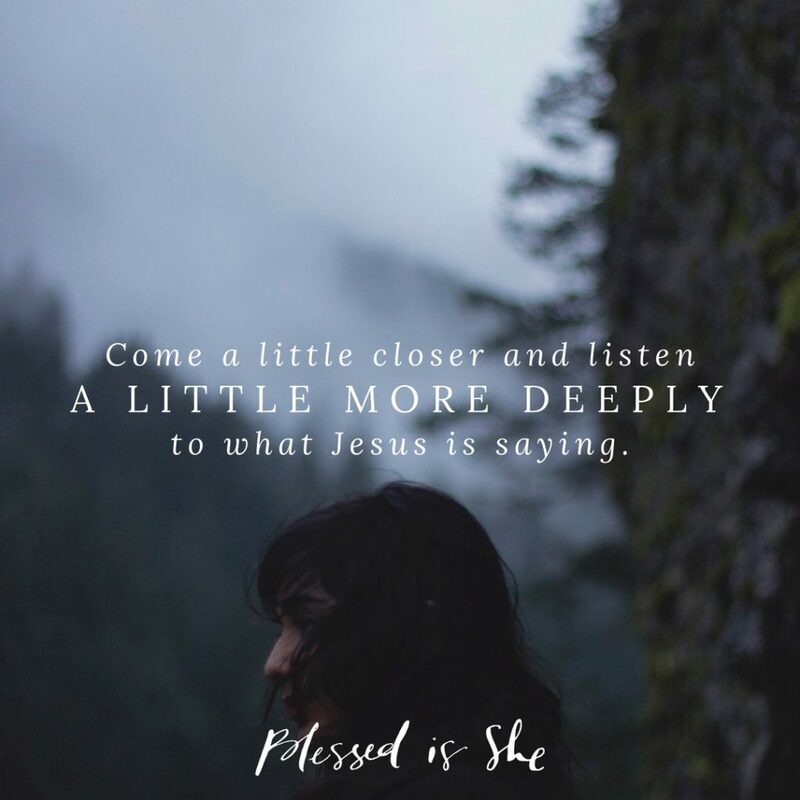 Come a little closer and listen a little more deeply to what Jesus is saying. If we listen and come before His words with a sense of wonder, we may hear something fresh and new that Jesus wants to speak to us today. What do you hear? Mary Catherine Craige is a lover of creativity and learning new things. She enjoys teaching children, creating art and music, and helping others live their lives more fully. You can find out more about her here.